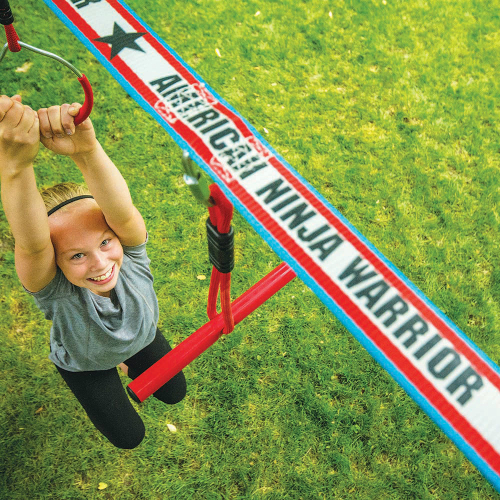 Train like a Ninja with the American Ninja Warrior Ninjaline. 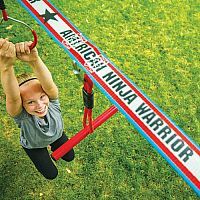 Hang the 34 ft Ninjaline between 2 trees for a challenging obstacle course. 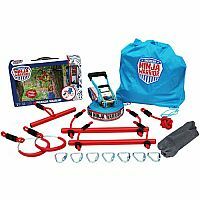 The line also doubles as a slackline. Set includes 34 ft Ninjaline with 11 pockets to space out your obstacles, carrying bag and 6 obstacles. 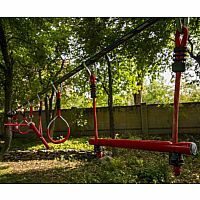 Obstacles include: 1 nylon rope knot, 1 steel T bar, 2 steel Monkey Bar Holds, 2 steel gym Rings with ABS textured grip. 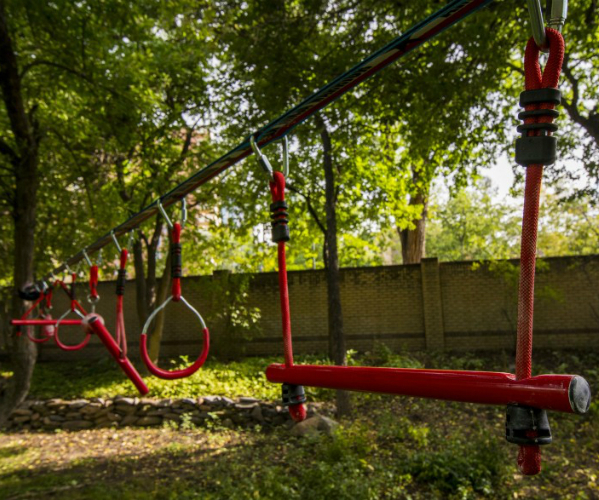 Quality built, strong and safe. 250 lbs max limit. 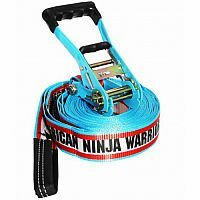 Measures approximately: 16.00 x 10.50 x 4.25 inches..